Pattern Graphix notices things you never would! Customizable notification settings (pop-up messsages or texts sent to a trader's smartphone/email). After installing the plugin on the MT4 platform, you will be able to use the Pattern Graphix's recommendations and enjoy your new relaxed trading routine. 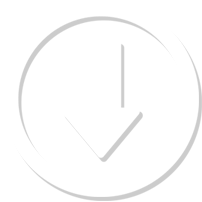 Pattern Graphix takes just 1-2 seconds to find a current pattern. Pattern Graphix determines figures of technical analysis quickly and precisely. Pattern Graphix suggests optimal levels of Stop Loss and Take Profit. Pattern Graphix allows the user to test a new strategy on historical data. Pattern Graphix works with small time frames (M1 and M5), so that scalpers can also enjoy its unique features. 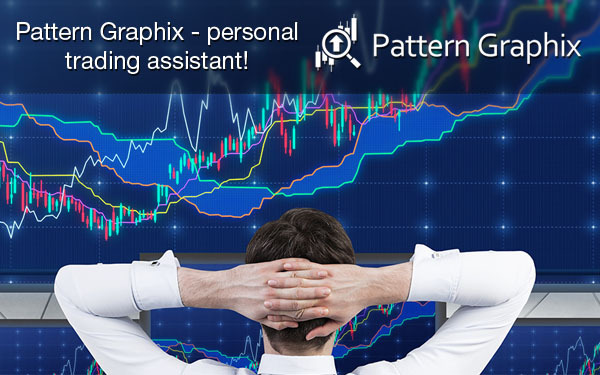 Pattern Graphix has all tools and patterns necessary for technical analysis available from a single menu. The patterns are easy to read since they are highlighted and named. Even a beginner will have no difficulties using the advisor. Pattern Graphix sends notifications as a pop-up alerts on the chart or texts to a client's smartphone or email. There is a client support window available right in the program. So-called Expert Advisors are extremely popular among Forex professionals. Using EAs, traders can carry their strategies out in a semiautomatic or even a fully automatic mode. A Forex advisor is a plug-in for the trading platform set by a trader according to her goals. It is also able to monitor the market closely non-stop. There are numeours Forex advisors out in the market. Some can execute the deals; others simply give ideas for the most profitable trading decisions. A certain type of advisors has gained a special recognition among traders - graphic pattern recognition software for trading charts. One of the best programs in this category is indeed Pattern Graphix. Pattern Graphix keeps traders informed about new emerging trends on the market. It identifies patterns on the trading charts. Besides, our advisor helps traders to decide on the type of a trade, determine entry/exit points and frequency of trades. One can even select a particular trading instrument, a time frame, or a type of pattern to receive signals about. Traders may choose to receive visual and sound alerts from Pattern Graphix immediately after a pattern is formed. Thus, traders can react to changes in currency rates quicker and place more profitable orders. Click here to find out how Pattern Graphix can help you attract more customers.